3xLOGIC, the provider of integrated and intelligent security solutions, has announced the availability of its VIGIL video management system (VMS) in Europe. 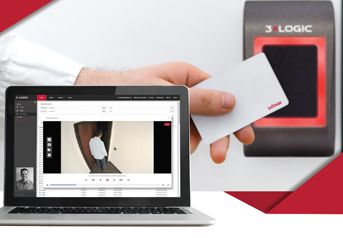 Already available in the USA, 3xLOGIC aims at those who want integrated video and access control, without the cost of a complex set-up. VIGIL’s enterprise grade VMS is behind the VIGIL range of network video recorders (NVRs) and power over Ethernet (PoE) cameras. Its set-up wizard guides installers and end users through the configuration process, helping to define network parameters, system identification information and camera profiles. Events can be viewed via PC or mobile app, allowing users to respond to alarms and view live footage from any location, while a SmartSearch lets you identify and review events. With 3xLOGIC’s VIGIC Central Management software (VCM), it is also possible to monitor server connectivity, camera status, storage details and server settings, and 3xLOGIC’s RapidStream and SubStream motion detection offers high resolution while the developers add reducing bandwidth demands. All VIGIL NVRs come pre-configured with VIGIL VMS software and 3xLOGIC PoE-enabled internet protocol (IP) dome, bullet, cube, 360 degree, thermal imaging, and pan tilt zoom (PTZ) cameras are designed to suit any application. The set-up wizard also provides ‘plug and play’ for deployment, so no IP video experience is necessary to start recording or viewing video. Users can narrow down points of interest within larger playback clips by creating a SmartSearch mask over an area of an image, and surveillance data can also be routinely archived without the need to perform the task manually. Reporting features including heat mapping, restricting and locking video are also possible. 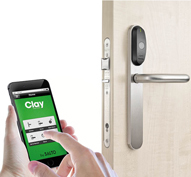 As 3xLOGIC says, end users are increasingly demanding integrated VMS and access control. VIGIL can be integrated with 3xLOGIC’s infinias access control solution, which is designed to manage any size of project ranging from a single door to an enterprise-wide installation of hundreds of doors. With no wires from VIGIL to infinias, configuration is carried out through software with an automated, cloud-based programming tool. 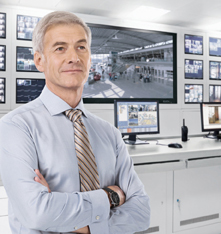 This offers a way to create one intuitive solution where video is automatically linked with access control events and alarms. According to the firm, VIGIL removes the need for expensive technical labour. It therefore opens up a new revenue stream for installers that work primarily with small to medium-sized enterprises (SMEs), or who wish to start offering an integration based service. VIGIL is available through the existing PAC channel, with access to its technical support.